Discussion in 'Lexus Lounge' started by CIF, Sep 16, 2015. 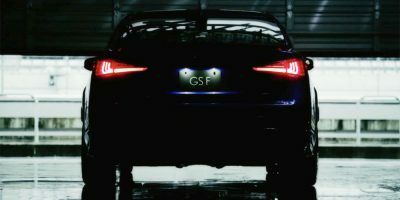 Lexus International has posted a video highlighting the key performance features of the 2016 GS F.
I've love to see Lexus GS F being put against rivals like Audi RS6 , BMW M5 , Mercedes-Benz E63 AMG ... and the scary output 650-hp 881-Nm Cadillac CTS-V , I want to see how the Lexus GS F managed , when against such deadly (on paper) rival . RC F has ASC too. And it sounds good. +1 for build quality and comfort though. I just don't see how this can stack up to a an AMG E63 or a M5 performance wise. I'm a Lexus guy through and through, but isn't Active Sound Control a little like cheating? Check out this article from the Washington Post. I'm not sure whether to be proud or embarrassed that Lexus is including this as their second listed 'performance enhancement' in this video. Enhanced performance similar to Milli Vanilli and Ashley Simpson if you ask me. This is not a feature I'm going to mention to my customers on a test drive. Its no different than after market exhausts in small engines trying to achieve the sound of a bigger engine. Ruksac and mikeavelli like this. Seems there are different kinds. There are the fake engine noises, recorded sounds that are played into the cabin. Then there are speakers and/or vents that channel the engine sound into the cabin. I'm still stunned a car like the M5 with a tt V-8 channels fake sounds into the cabin (not sure if they stopped this practice). Actually I think there is a distinct difference. One way has an individual gear head doing whatever they can to squeeze any sort of performance upgrade they can out of their wimpy and inexpensive car. That's why so many Civics scream down the road at 30 mph with an exhaust note over 130 decibels. The other is when a manufacturer is acknowledging that their car is either an under-performer or they've simply engineered all the fun out of them so they have to pipe in engine Muzak to give the driver a false sense of acceleration.